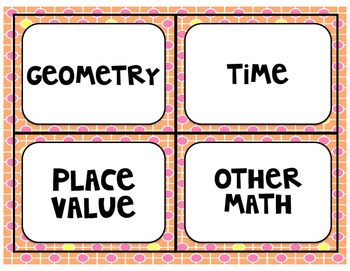 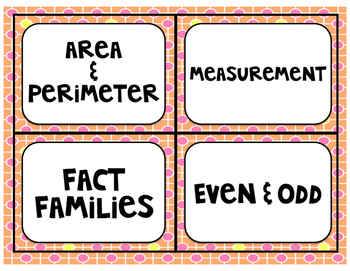 These are labels for math center or task card bins. 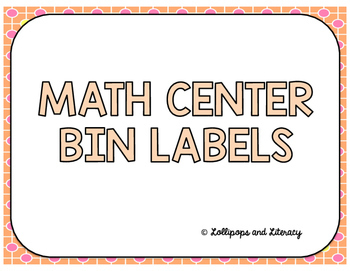 I print, laminate, and use to label plastic bins to easily grab math centers related to a certain topic. 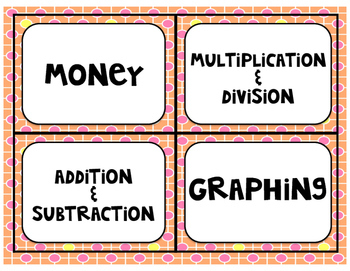 Please tell me if there is a topic you do not see and would like me to add!